Have you seen this buzz video? I love the concept. 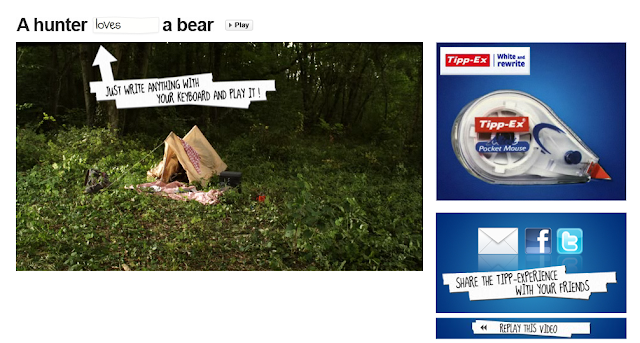 Once you chose what to do at the end of the video, you arrive on a page where you have to type in the word that completes the sentence “a hunter ….. a bear” which is then played in the player. And only “annoys” triggered a 404…!! So cool. I guess they did a little UX research before and found out the most typed words.